To say that I like baking with pumpkin is a bit of an understatement. From the time I make my batch of pumpkin puree in the fall, it’s on. 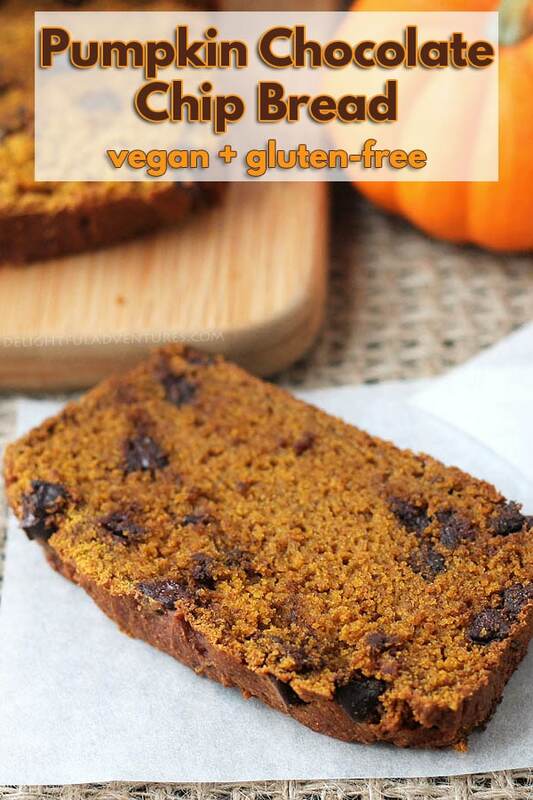 I have a few more pumpkin recipes to share before I move on, but today, it’s all about this beautiful and delicious Vegan Gluten Free Pumpkin Chocolate Chip Bread. 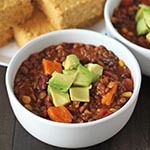 As the weather continues to cool down, most of us tend to crave comfort foods. This is just one example of comfort food for me. Sweet comfort food. 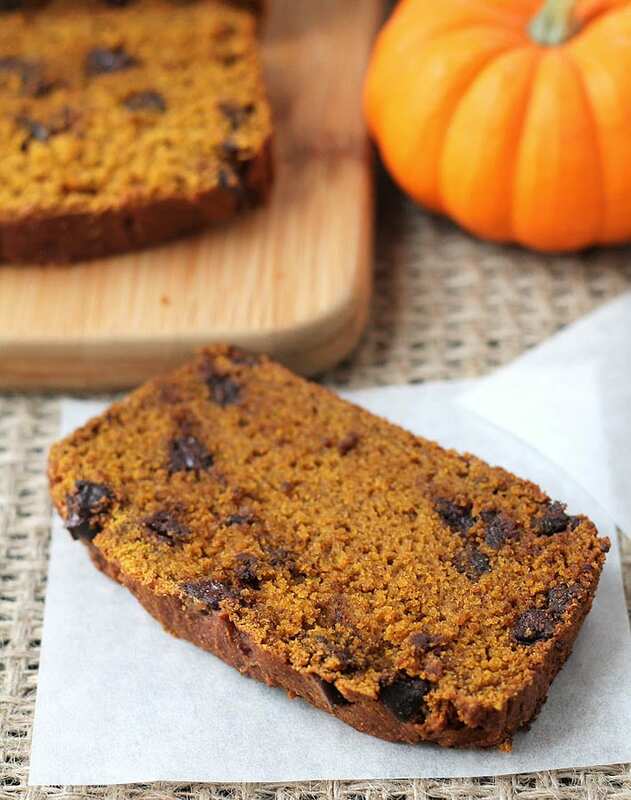 Grabbing a cup of tea, or decadent vegan hot chocolate, and a slice (or two) of this vegan gluten free pumpkin chocolate chip bread is perfection. Add in a blanket, the couch, and Netflix and I’m happy. Every time I share a pumpkin recipe, I always go on about making your own pumpkin puree…and how easy it is…and how you’ll never go back to the canned stuff. Because, yes, to everything I just said. Plus, it’s cheaper and you’ll have a stash in the freezer to make all of your pumpkin recipes (sweet and savoury) any time you want. Click this link to learn how to make homemade pumpkin puree. 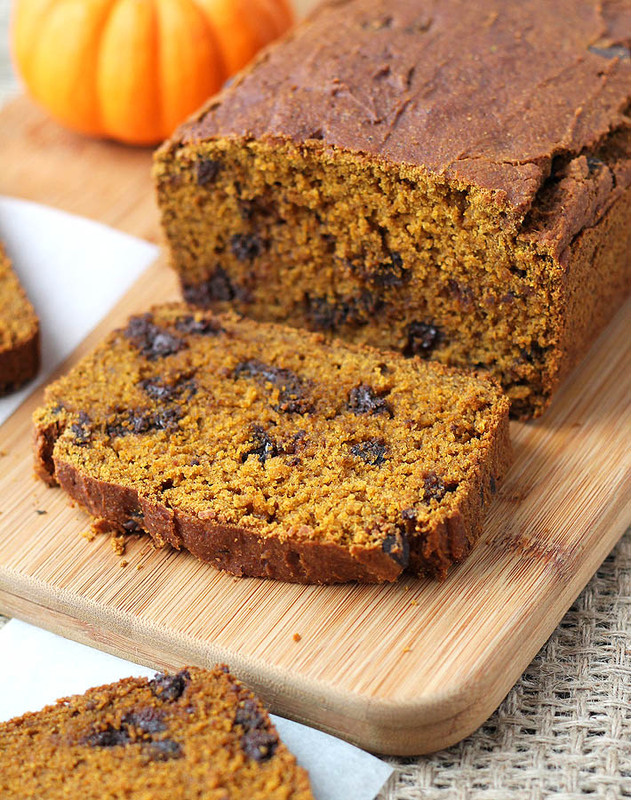 To come up with this recipe, I went back to my vegan gluten free pumpkin spice muffins, and my coconut raisin banana bread recipes, combined and modified them a little and this is the result. Those two recipes are such favourites, that I knew this recipe would turn out to be a good one. Plus, it also has chocolate chips, how could anything not be right when it has chocolate chips?? 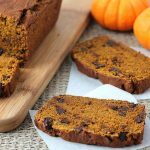 If chocolate chips aren’t your thing, you don’t have to add them to this pumpkin bread (but they’re highly recommended!) 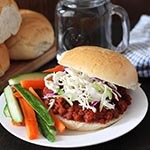 You can substitute with raisins or walnuts (or both!) It’s totally customizable. In a large bowl, whisk the flour, coconut sugar, baking powder, baking soda, salt, cinnamon, ground nutmeg, and ground ginger together. In a small bowl, mix the melted coconut oil, pumpkin puree, vanilla, and flax mixture together. It's important to know that different gluten-free flour blends use different ingredients and ratios, so results can vary if you substitute. 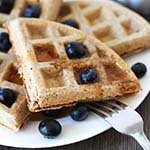 I've never used any other brand of flour to make this recipe (other than Bob's Red Mill with the red label, not the blue! Click that link to see the correct one), so please know that your results may not be the same as mine if ingredients are substituted. 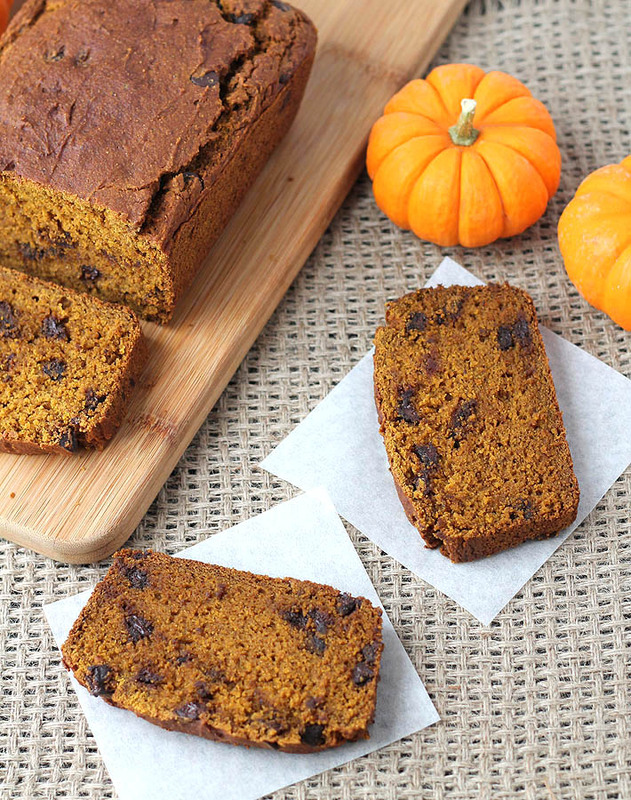 Make your own pumpkin puree instead of buying the canned stuff! Learn how to make homemade pumpkin puree here. Nutrition info listed below is for 1 of 12 slices and is only to be used as a rough guide. Click here for more info on how nutrition info on this website is determined.